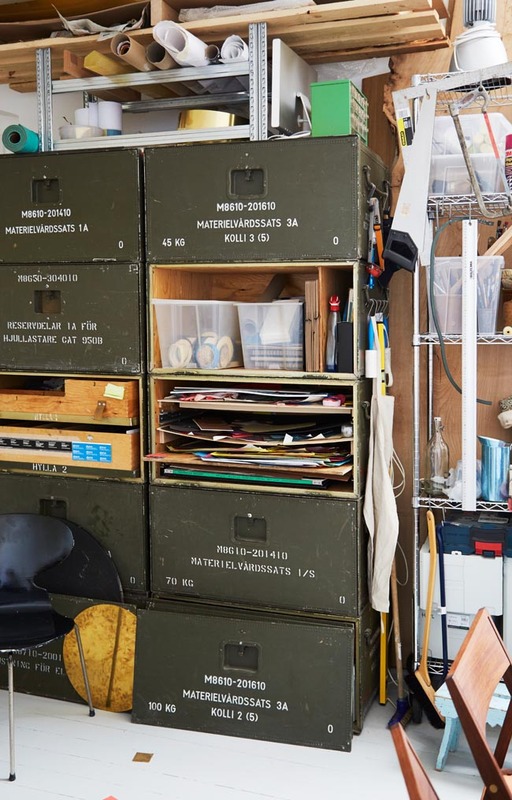 I arrived to visit Malene Bach in her studio on Grønnemose Allé, an extraordinary collection of terraced houses and associated studios, built for artists in 1940 by architect Viggo Møller-Jensen. We had not seen each other for a long time. But our friendship goes way back, we met in our twenties and filled them with nightlong conversations about art and the biggest question of all: the meaning of LIFE. She has always had a lot of character and anything but middle of the road opinions, which is also reflected in her work. Her approach to space goes through colours and she creates unique schemes, often influence by modernism. When I arrive, Malene is working on a proposal for an integrated art project at the Danish Centre for Particle Therapy, DCPT at Aarhus University Hospital in Skejby. 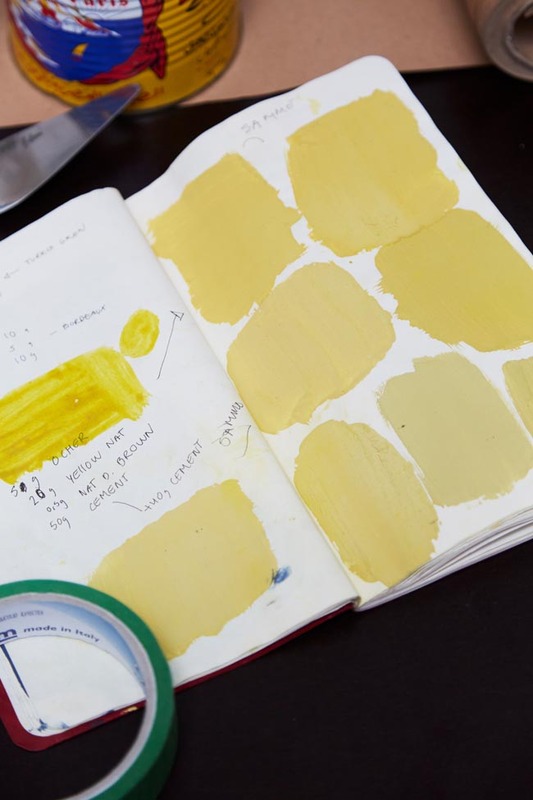 The studio is covered in colour samples and models, and two interns, both from Kolding Design School, Marianne Noer and Benjamin Rask, are working side by side, trying to get the right colour intensity. It's an aesthetic mess that quickly captures my photographic eye. I am drawn to the soap dish with little soap scraps. They almost look like they were intentionally shaped as an independent piece of art through washing the artist's hands. I have a quiet walk around the studio with the camera while Malene makes coffee before we sit down and talk about colour and space. Can you briefly explain what colour and space mean for the overall experience of architecture? The colour connects man with the place. When present, colour presence may add additional dimensions to space and architecture. How do you get inspired? And what is the starting point when composing a colour scheme? My basic inspiration comes from everyday observations of spontaneous light phenomena their colours; the immediate joy that comes from investigating nature at play. The light, shadow and colours that occur in this intersectional space are so motivating. Colour is a part of the relationship between light and dark. A colour scale is developed in an area-specific context. The context provides the prerequisites for how the individual project is accessed with colour. I have no predefined colour palettes or standard ways to work on colour. I have a method of researching and studying the place to find meaning in colour for a place. How do you work with colour? Saturation, shades, texture? The understanding of a colour depends on the nature and location of the surface. The surface texture is part of the colour experience. I aim for the colour experience to be tactile, an experience of the colour as material, and not just a flat colour application. "Colouring games" ... there is so much music in colour work: quiet, slow, drama, rhythm, background, forefront, opaque, saturated. Working with colour is like making music. What are you doing now and what does the future offer? I am soon travelling to India, where I will been for two months. In India I work with these really bold architects, Case Design. We are working on several projects, including the exhibition at the Venice Architecture Biennale, which opens in May 2018. If you could only choose one artist's works to look at for the rest of your life, who would that be, and why? If I can choose what to look at for the rest of my life, I wouldn't choose an artist but nature. I choose sunset! It's a gift, today's highlight - and a new performance every single day. Last but not least - is art today false or true, or none of those? Or perhaps a better question would be: how do you think digitalisation has influenced art? I am very interested in spatial and tactile qualities. It has something to do with the body within a space and the presence of materials and how they are processed. I have also seen digital works that have this aspect. How do you visualise your approach to your work with architecture? I am a visual artist and can work as a visual artist or artistic colour consultant depending on the project. I would always describe myself as an artist - it's my approach to working with colour in architecture. I'm only interested in working with colour in space if we can add something new to the spot with the colour. Paintings on wood. Artist Malene Bach (1967) works with painting in an expanded field. 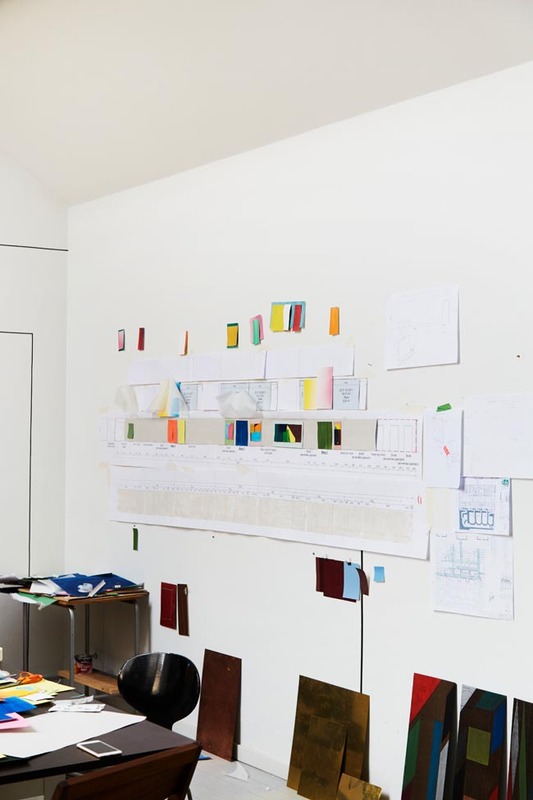 Her abstract, conceptual artwork is characterised by a highly geometric approach and ranges from the purely digital to in-situ work, including readymades, furniture and paintings. Malene Bach’s highly contemporary artistic practice draws on sources including Modernism, Russian Suprematism and the Avantgarde movement. The door is open at the studio by architect Viggo Møller-Jensen. 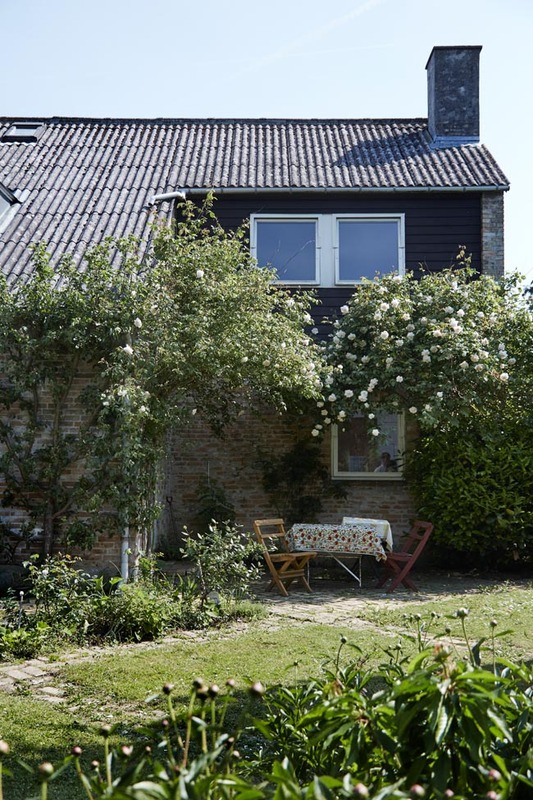 The house and studio are surrounded by a beautiful garden and Malene Bach often take her art projects outside. 2013-18 Skywalk at Niels Bohr Bygningen. University of Copenhagen. Integrated art project. Collaboration with Christensen & Co and Vilhelm Lauritzen Architects. 2016-18 New altartable. Skagen Kirke / Church, Skagen. 2014-17 Snostrup Kirke. Medieval church, Snostrup, Frederikssund Stift. Collaboration with Lars Hansen arkitekter. 2016 Avasara Academy. Pune, India. Colour project. Collaboration with Casedesign, Mumbai. 2015-16 UCL. University College Lillebælt. Odense. Integrated art project. 2012 Nørrebro Park Skole, public school, Cph. Integrated art project. Collaboration with NOVA5 arkitekter.